Thanks for coming to the International Blog Highlight today, hosted by the lovely Kylie Bertucci. You are currently visiting Jessie Holton's blog (Australia). The top ten winners of this Blog Hop will get to be part of a special international blog hop so please vote for my project as I would love to be able to participate in it! 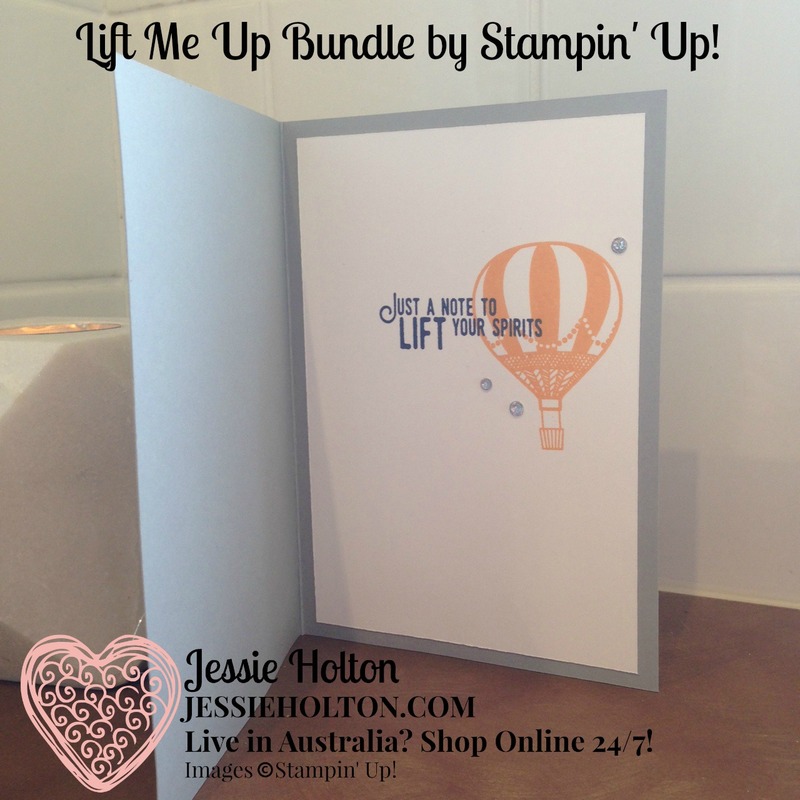 Our theme for this highlight is encouragement as we all need a kind word said to us to build us up. 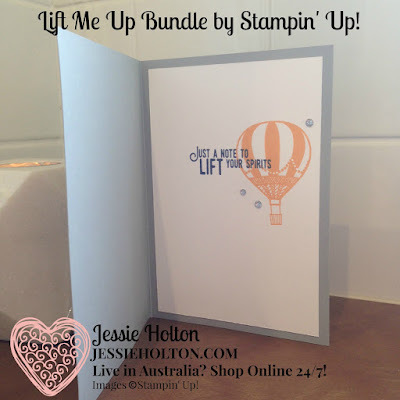 Today I've been playing with the Lift Me Up Bundle from the new Occasions Catalog & the Carried Away Designer Series Paper (DSP) which is a free item from the Sale-A-Bration Catalog. 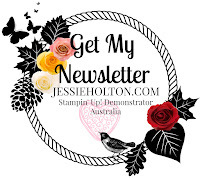 See below for more info on how you can earn free products & click here if you live in Australia & would like a copy of the new Catalogs! I've started with a Smoky Slate cardstock base, layered with two patterns from the Carried Away DSP. The sentiment is stamped in Night of Navy on another pattern from the Carried Away DSP & is propped up on Dimensionals with a little nest of Silver Metallic Thread under it. I have also added a few Basic Jewel Rhinestones but the DSP is so pretty, I haven't done anything else to it. I have followed through with a couple more Rhinestones on the inside around the Peekaboo Peach balloon & Night of Navy sentiment, on Whisper White cardstock. All of the sentiments & images I have used have come from the Lift Me Up stamp set by Stampin' Up! Thank you for visiting my blog today! Make sure you head over to Kylie's blog to vote for my project. I would love to be chosen to participate in the special international blog hop! 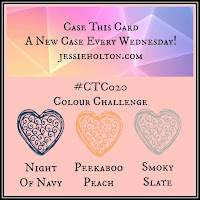 I have also entered this card into this week's Crazy Crafters Team Project Highlights. You can see all the entries & vote for your favourites from 7pm, Friday 20 January. 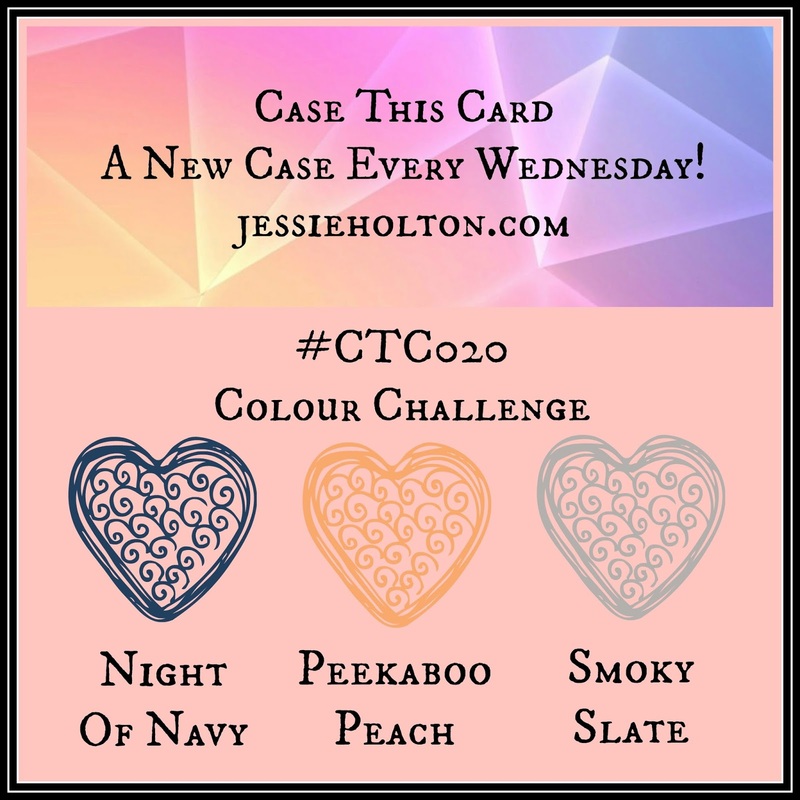 Lastly, I have entered this card into the Case This Card #CTC020 Colour Challenge. 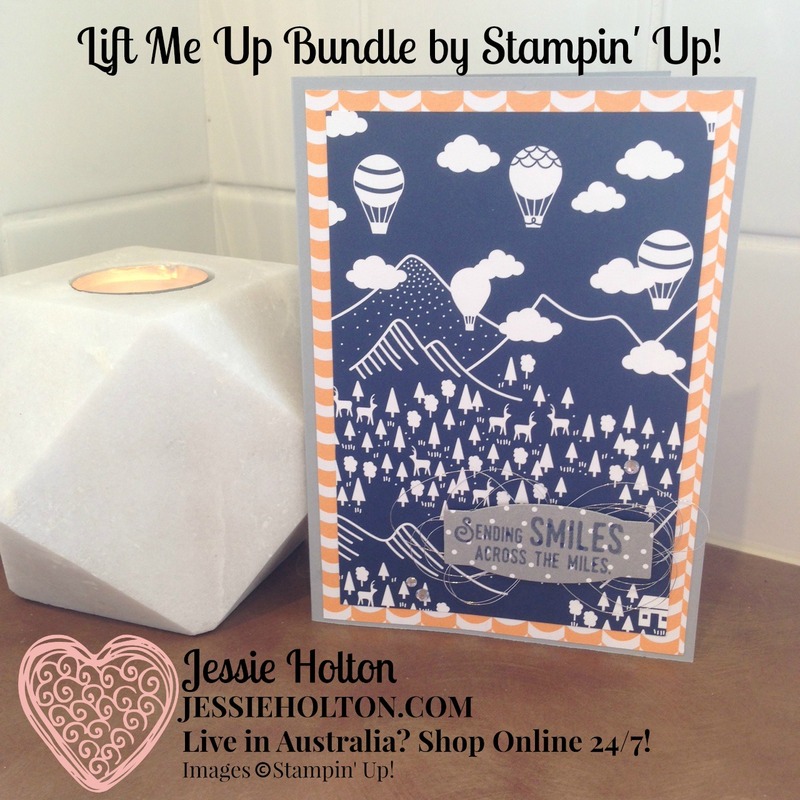 So how do you earn the free Sale-A-Bration items like the gorgeous Carried Away Designer Series Paper? Any current products in increments of $90AUD will get you a Sale-A-Bration item for free, $180 for two etc. This promotion runs from 4 January - 31 March 2017.